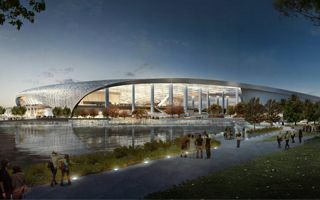 Designed by HKS Architects, the stadium for relocating NFL team Rams will accommodate 70,000 seated spectators, but will also provide standing room for 25,000 further people for largest events. 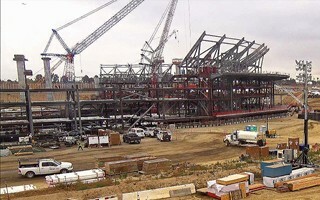 Along the description given by its designers, it’s in fact able to hold over 100,000 people at peak. 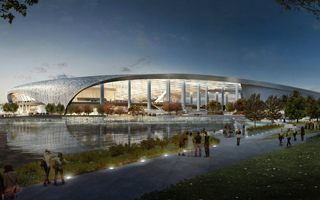 The seating, divided into 4-5 tiers and numerous hospitality balconies, the seating bowl will be partly sunken into the ground (up to 27.5m) so the building won’t dominate the landscape. 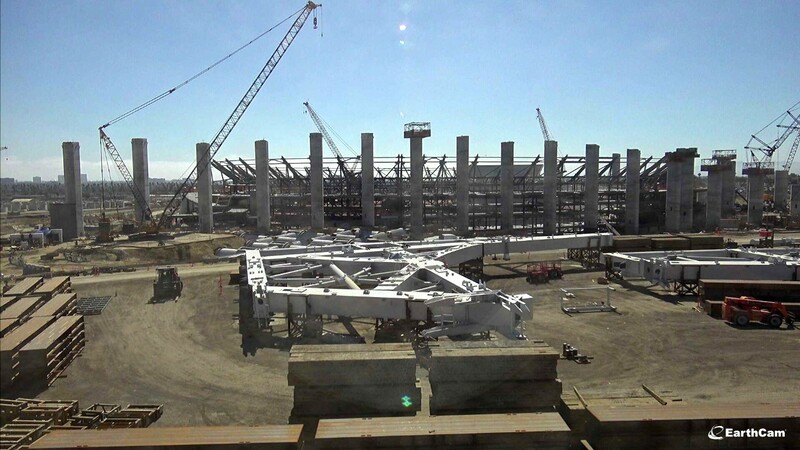 However, locally it would still be the largest building as its canopy will rise to over 53 meters. 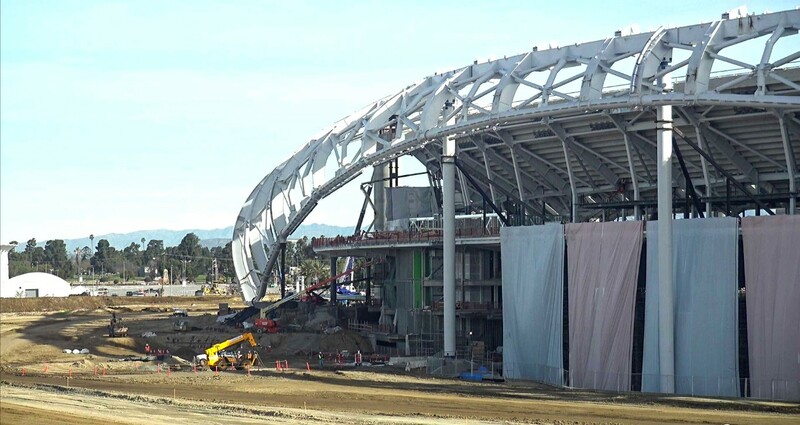 Spreading well beyond the stadium itself, the roof will create a transparent dome with ETFE cover, providing shelter from the elements also to neighbouring plazas and also covering an indoor event hall for 6,000 people, south of the stadium. 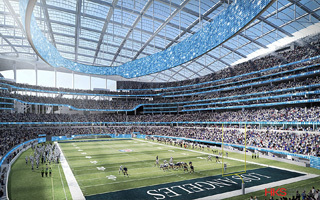 Both the ETFE sheets and lack of external walls are to provide an open-air feeling to fans. 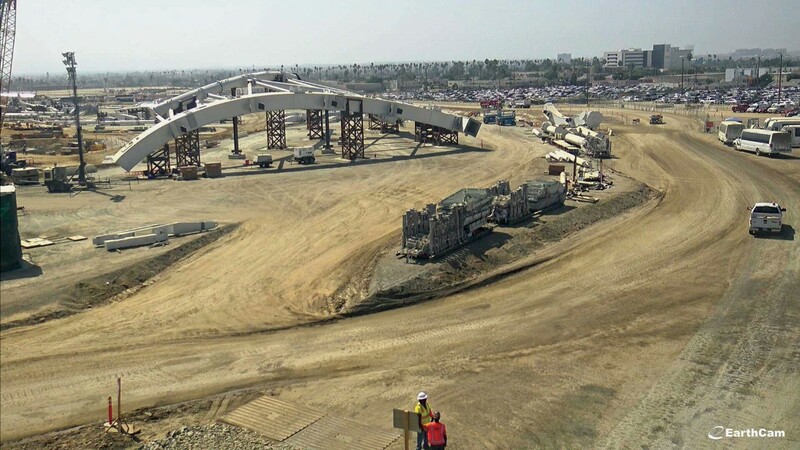 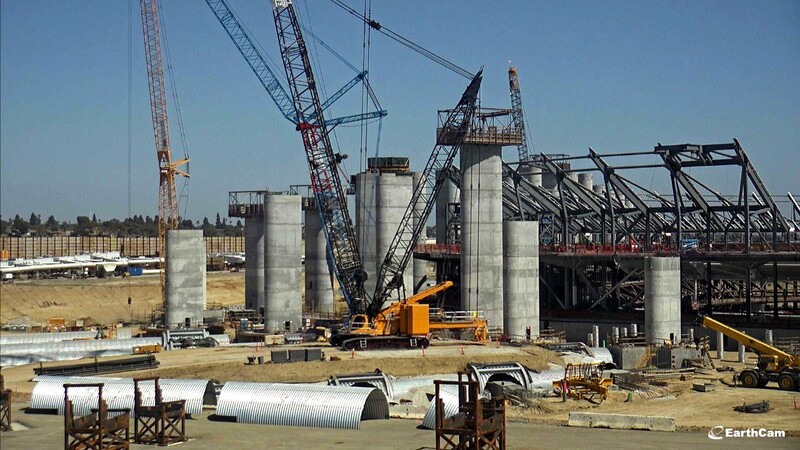 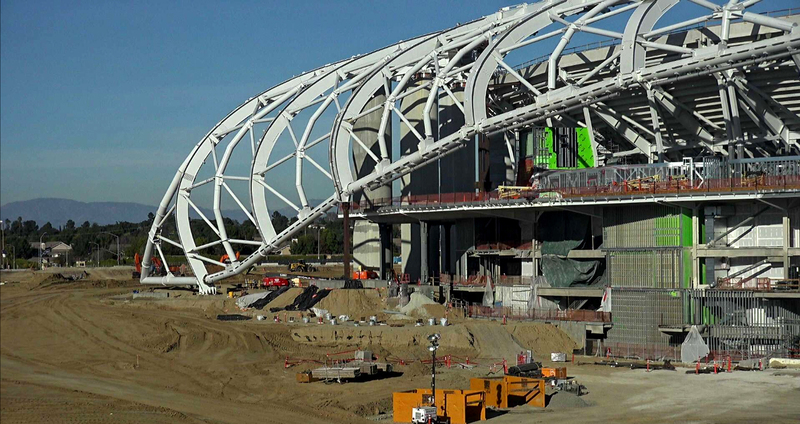 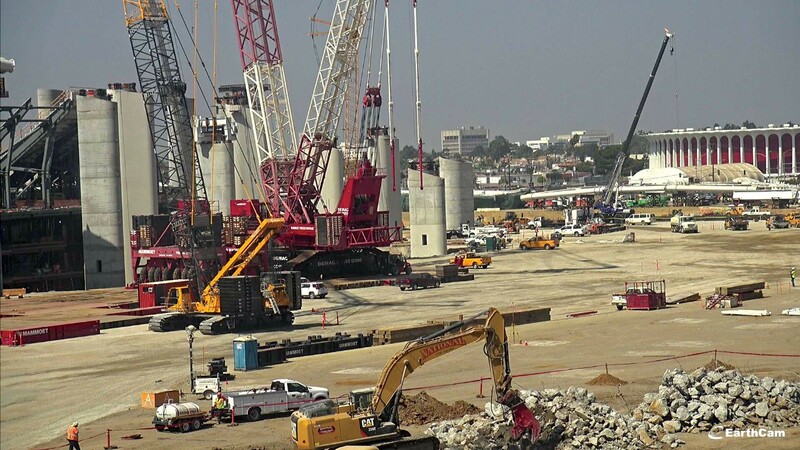 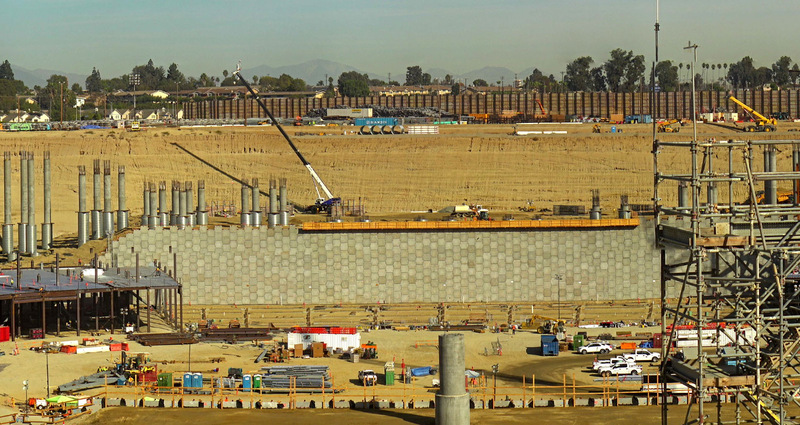 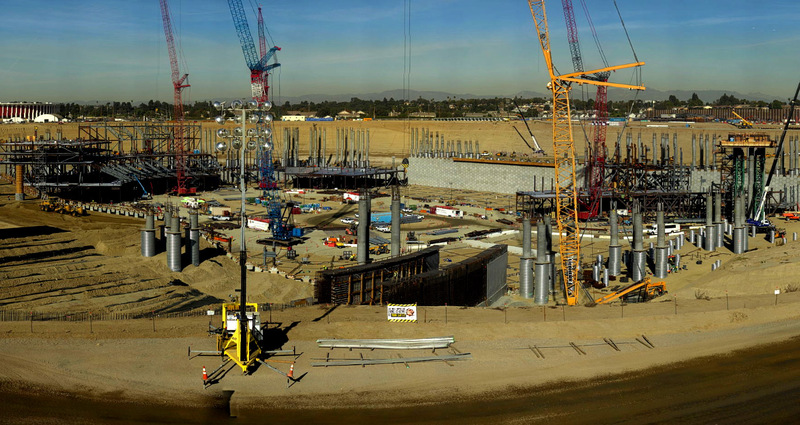 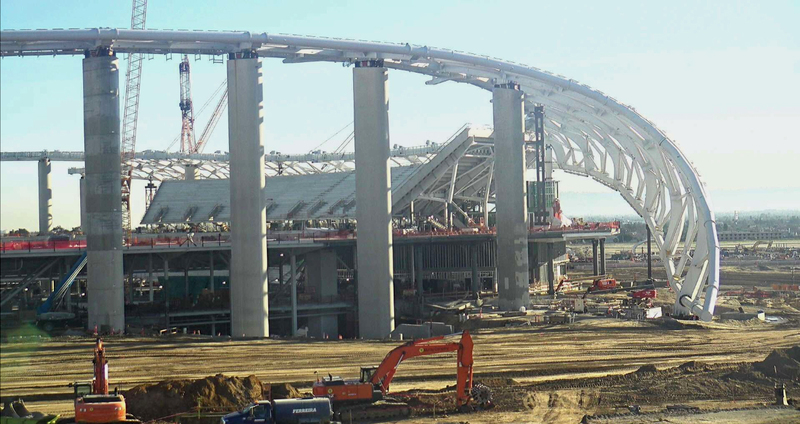 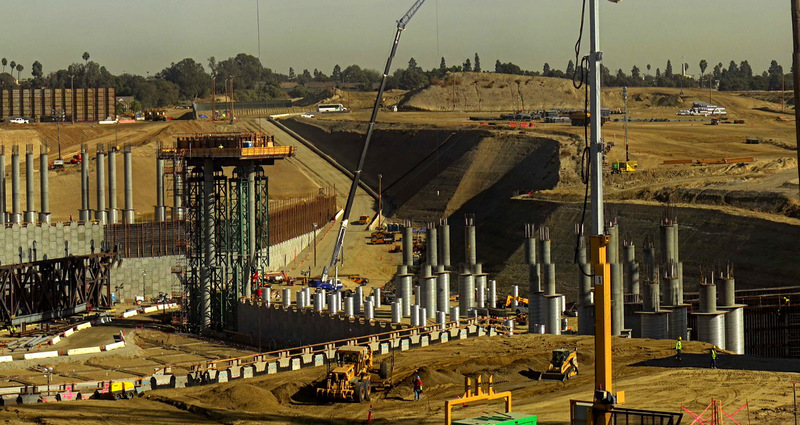 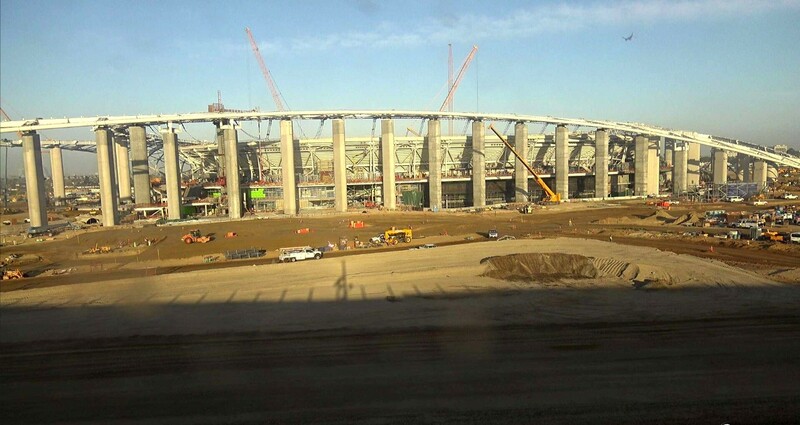 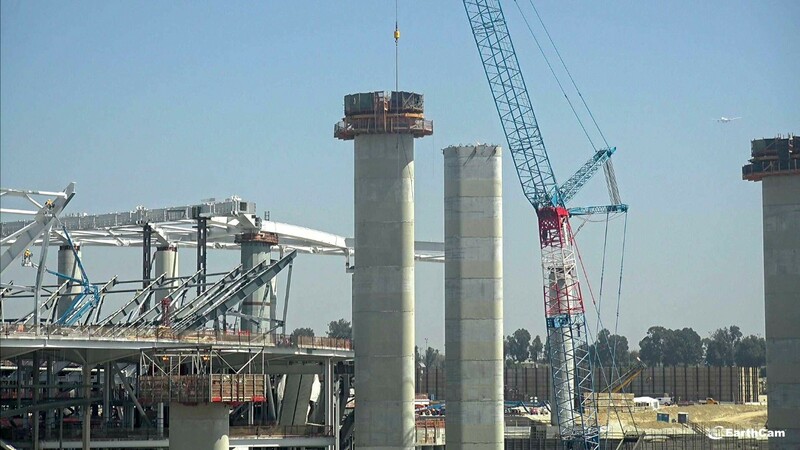 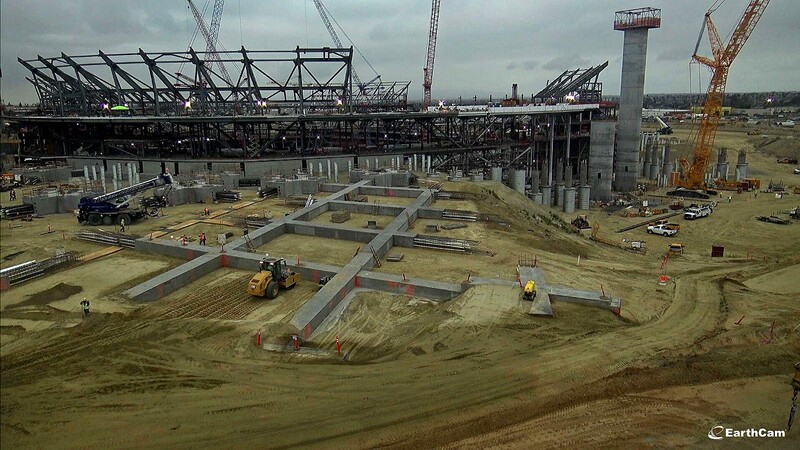 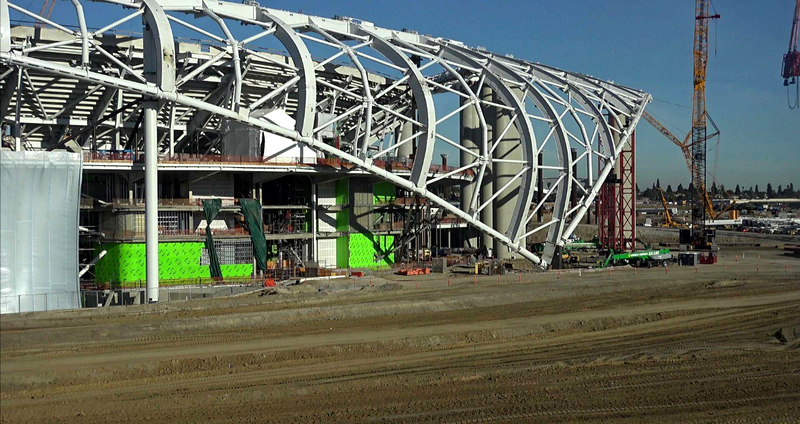 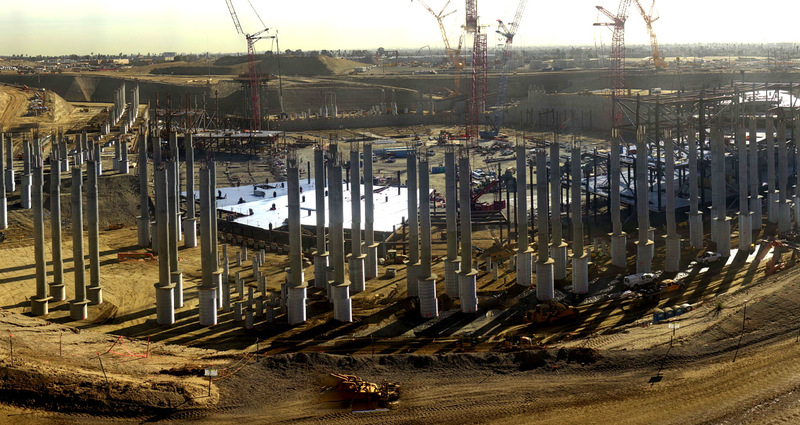 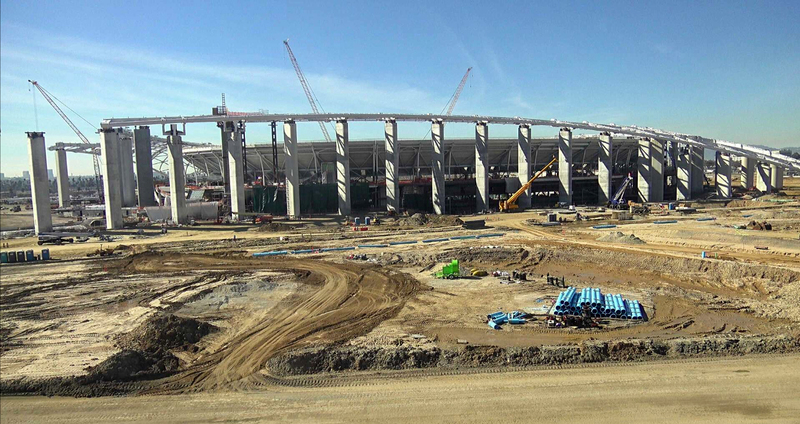 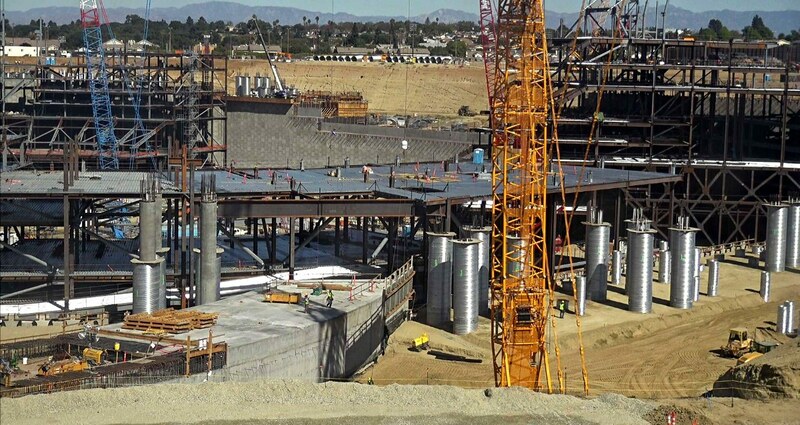 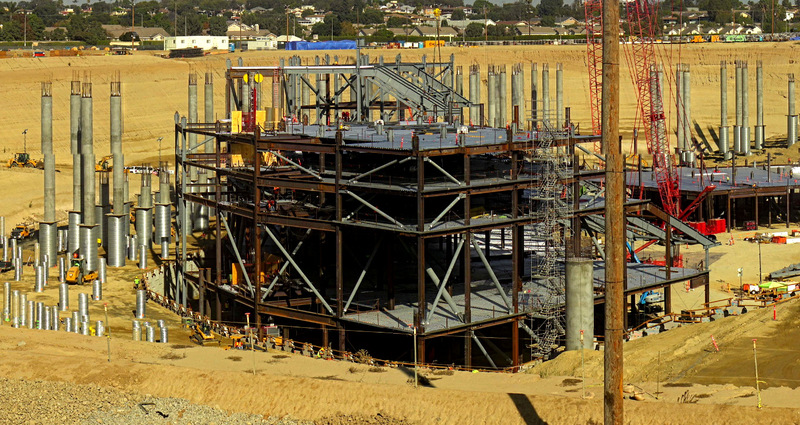 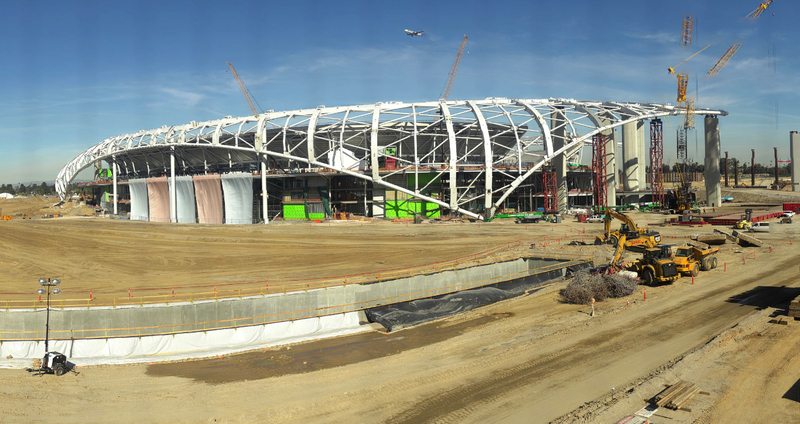 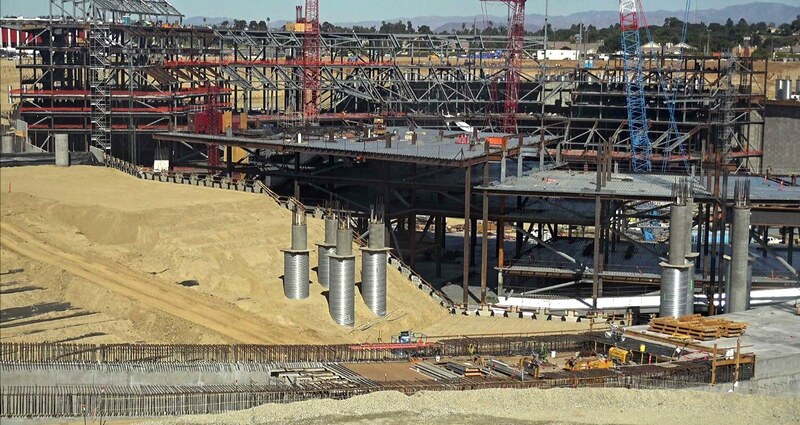 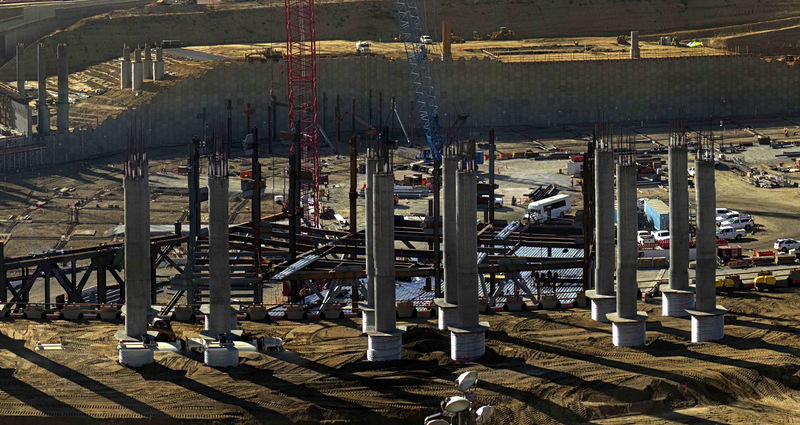 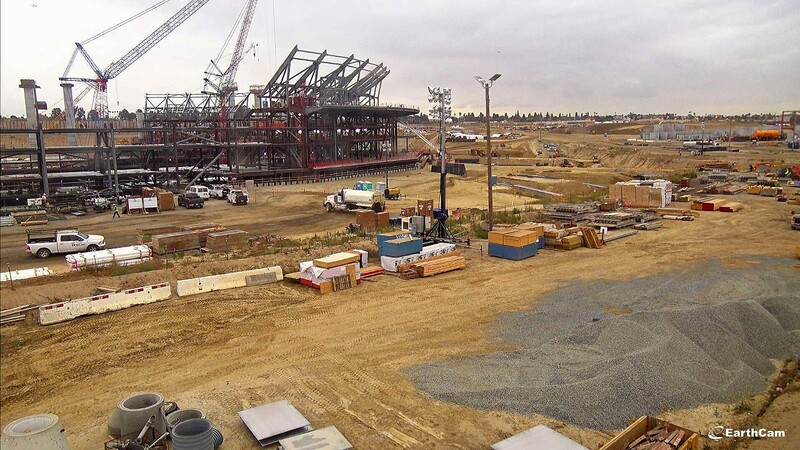 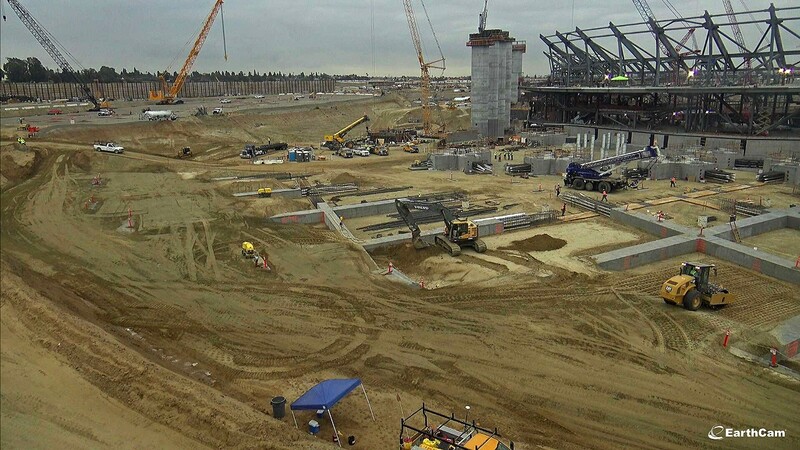 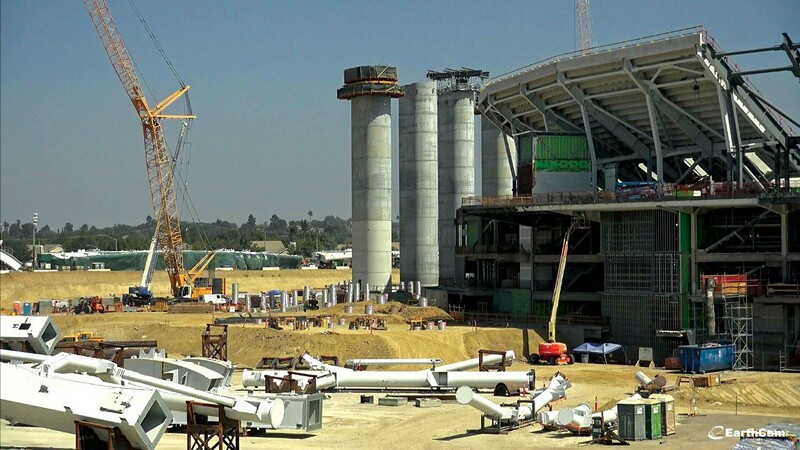 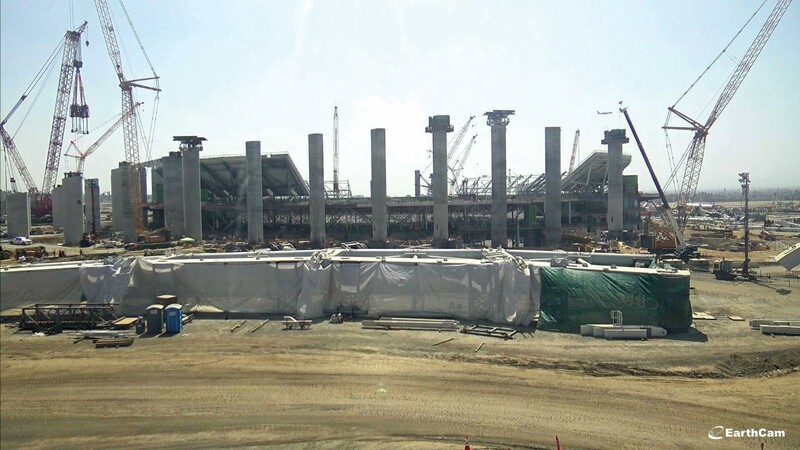 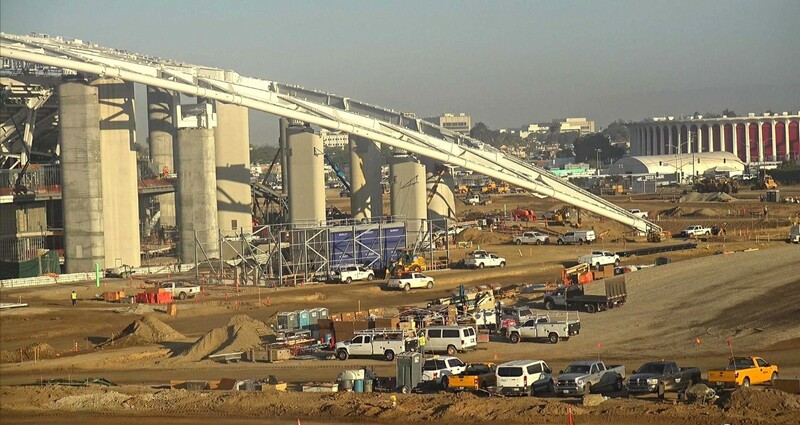 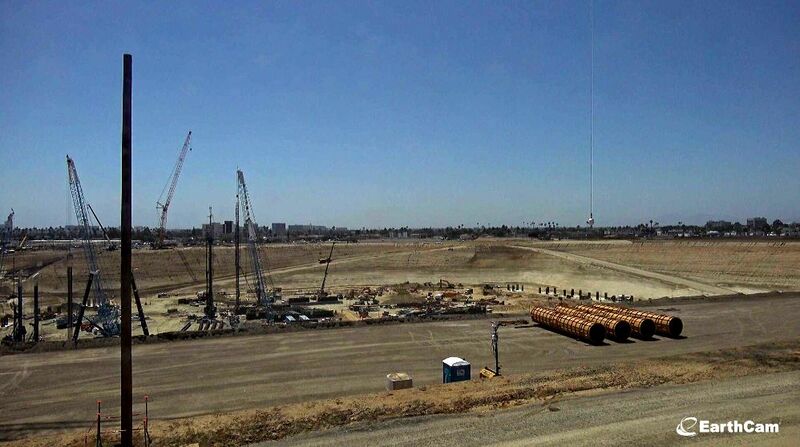 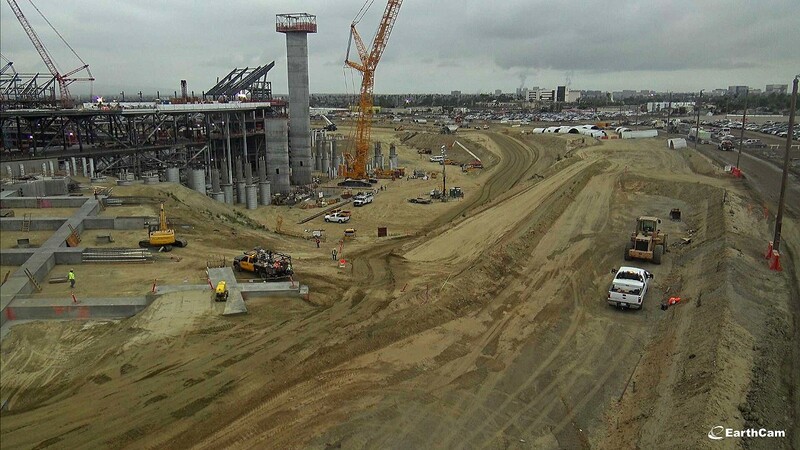 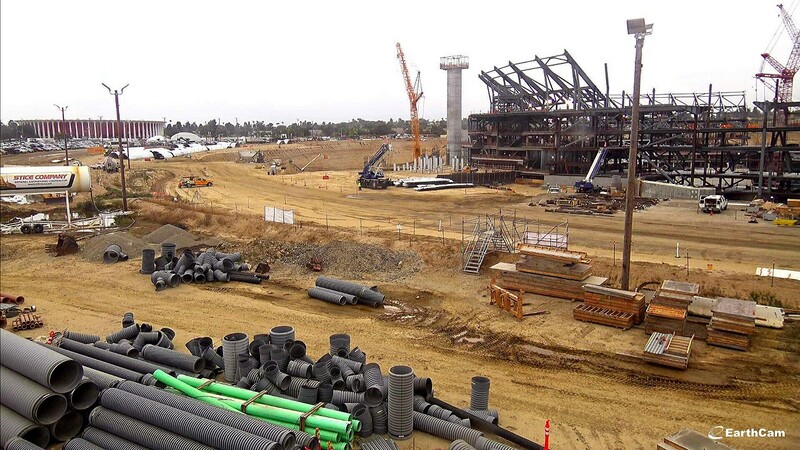 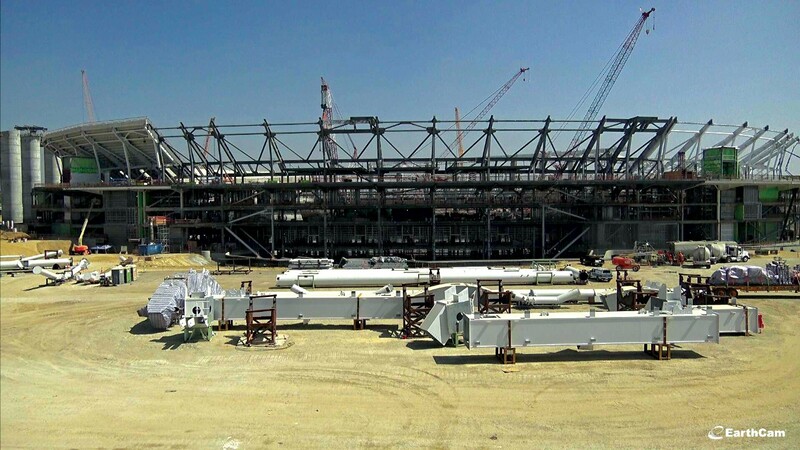 The stadium is being built in Inglewood, south of central Los Angeles. 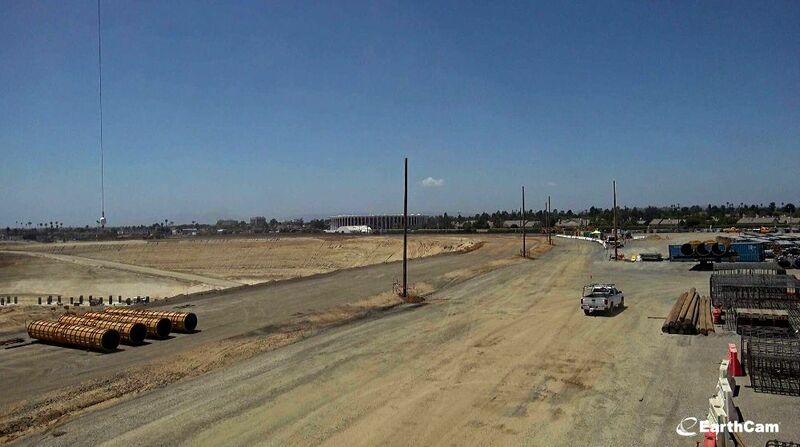 The entire planned complex will spread across 298 acres (120.5 hectares). 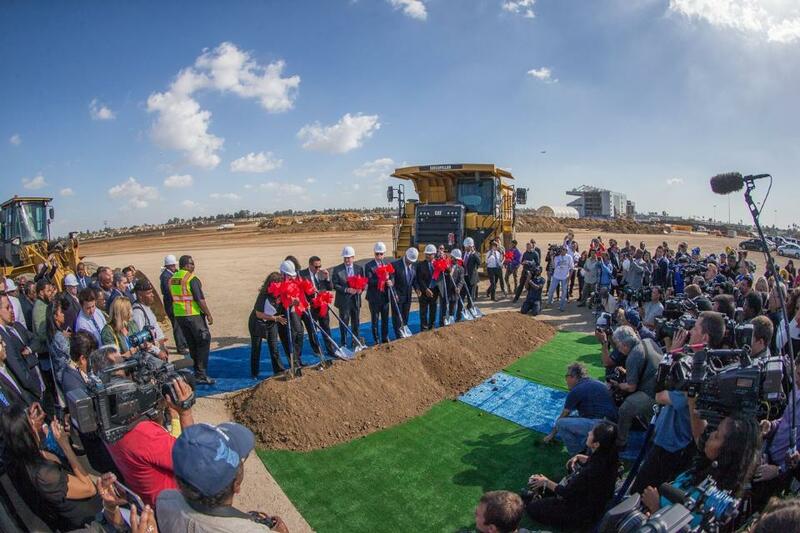 Apart from the event facilities there will be a hotel (300 rooms), over 2,500 apartments and massive 93,000 m2 of office and commercial space. 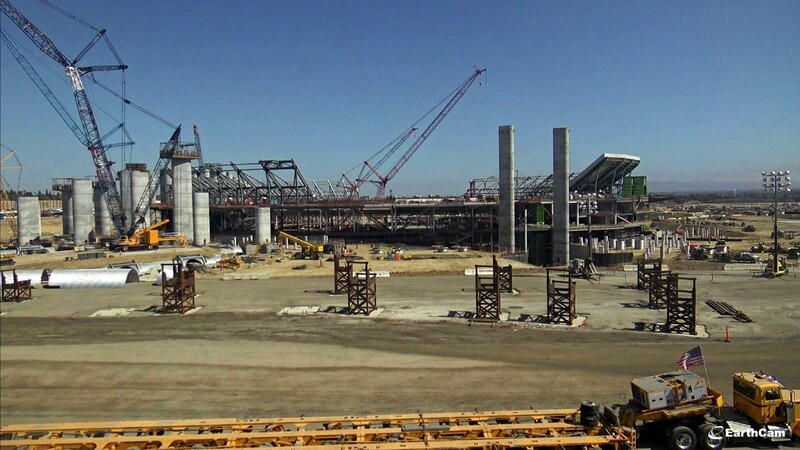 Back in 2014 the project was expected to cost $ 1.86 billion. 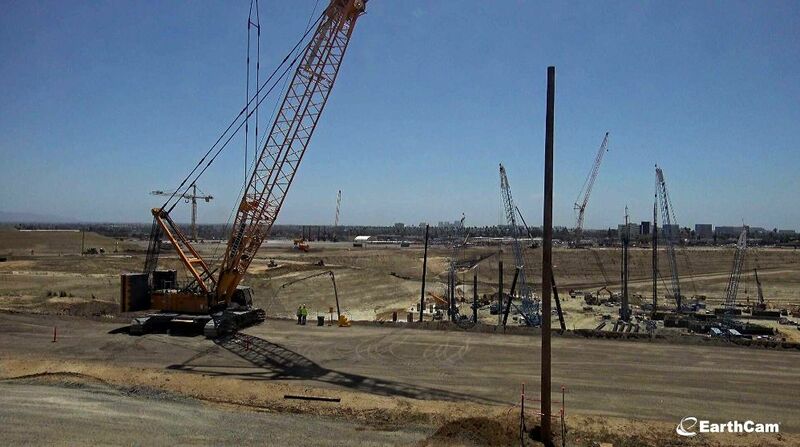 This is when ground clearing works were launched, demolishing the old Hollywood Park race track. 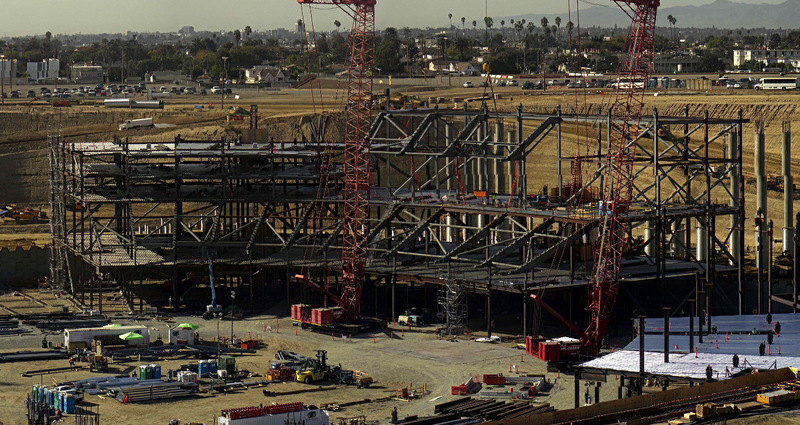 By official groundbreaking in November 2016 the price tag grew to $2.6 billion. 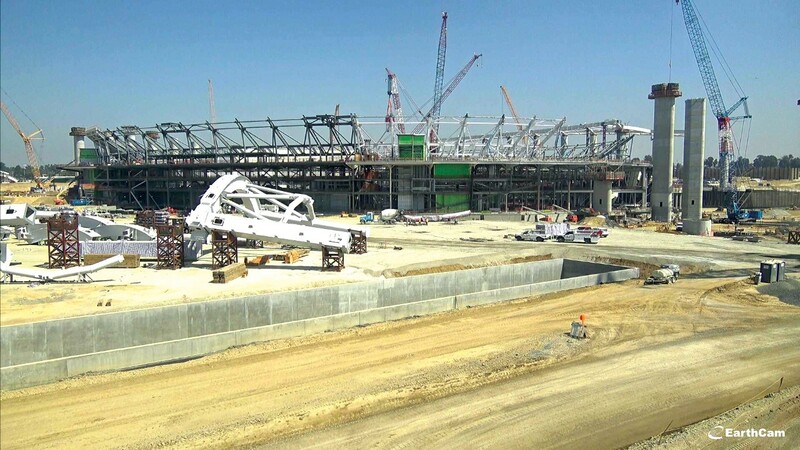 The world's most expensive stadium is two thirds complete at this point and will be able to welcome visitors in just 16 months. 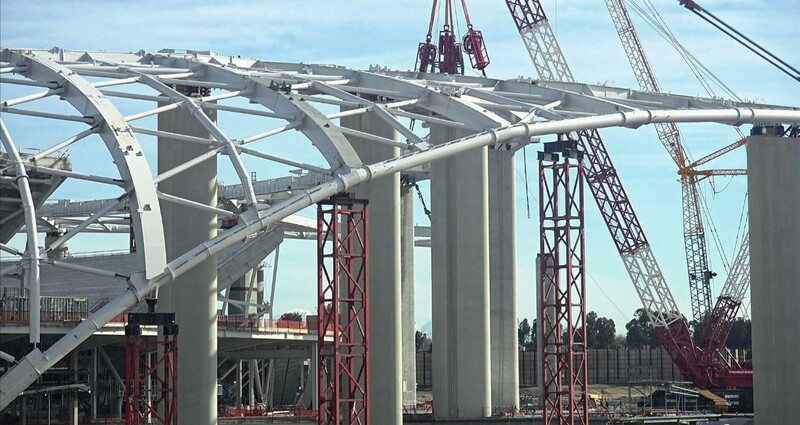 April saw the completion of its main canopy shell. 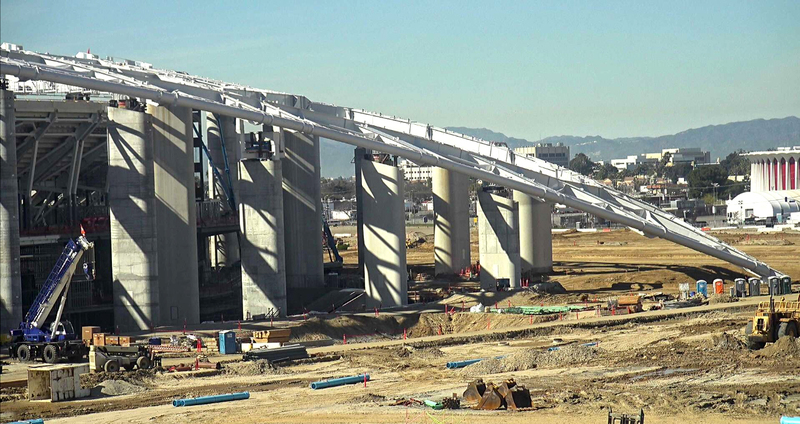 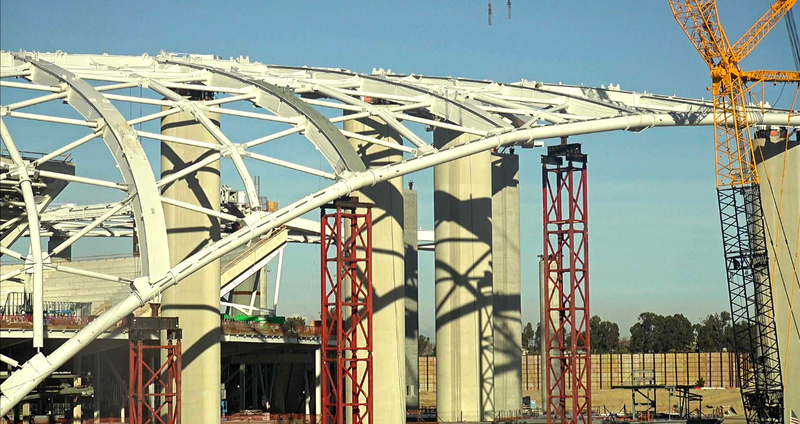 First steel trusses already adorn the imposing columns, while overall progress exceeds 50%. 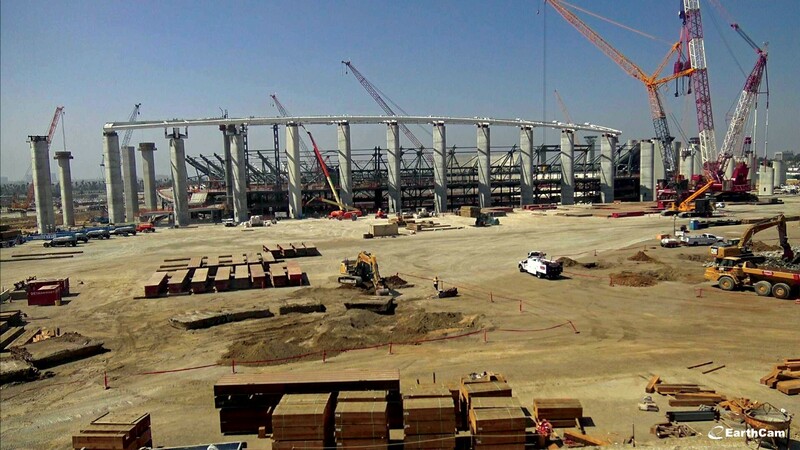 In 2020 the world's most expensive stadium will see its opening. 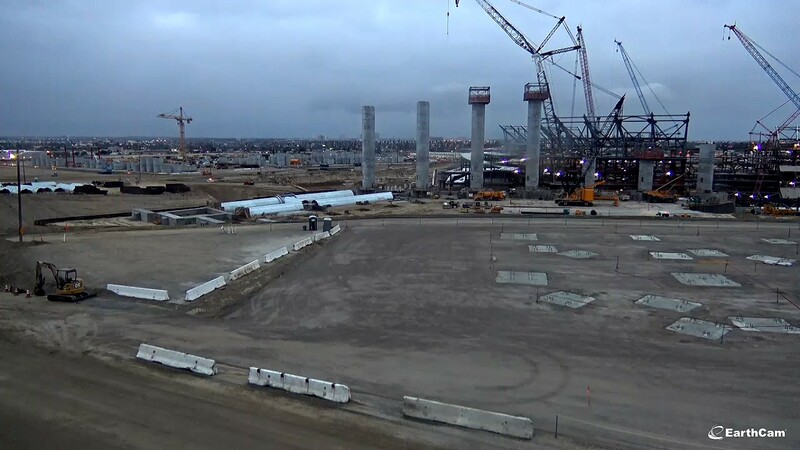 For now 3,000 workers are on site non stop to make it happen. 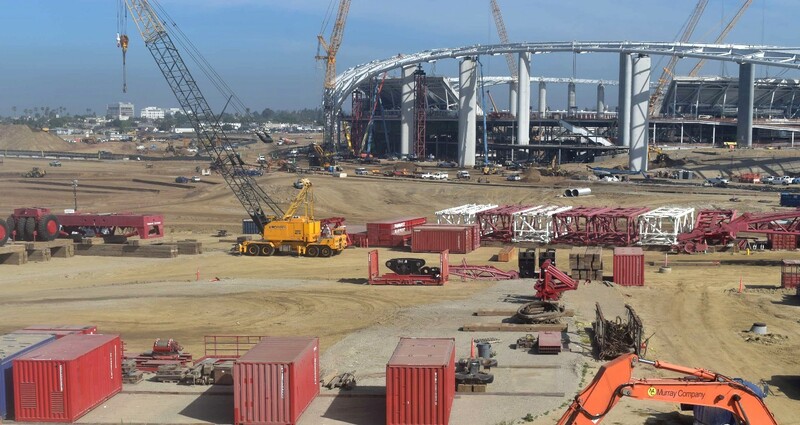 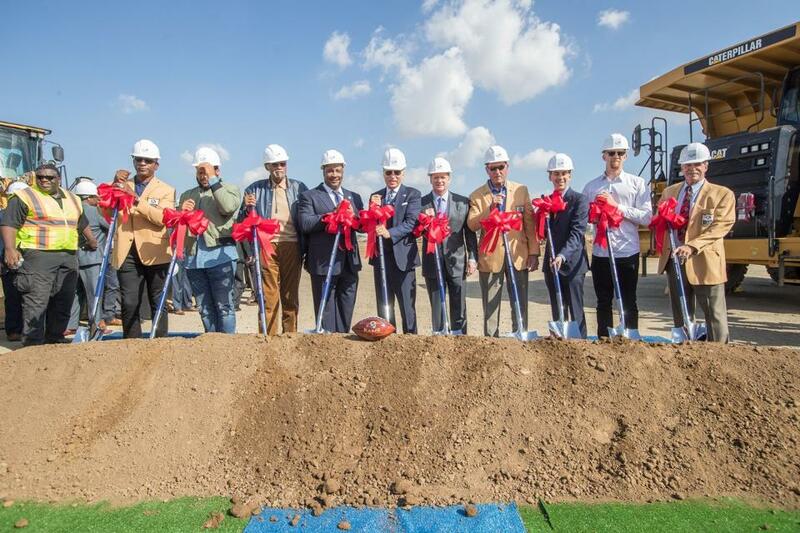 18.05.2018 Los Angeles: Inglewood stadium at over $4 billion? 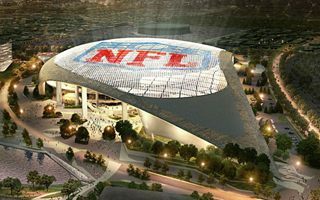 According to a surprisingly detailed report by Sports Business Journals, the world's most expensive stadium is now expected to cost in excess of $4 billion, although over $850 million of that amount will cover surrounding infrastructure. 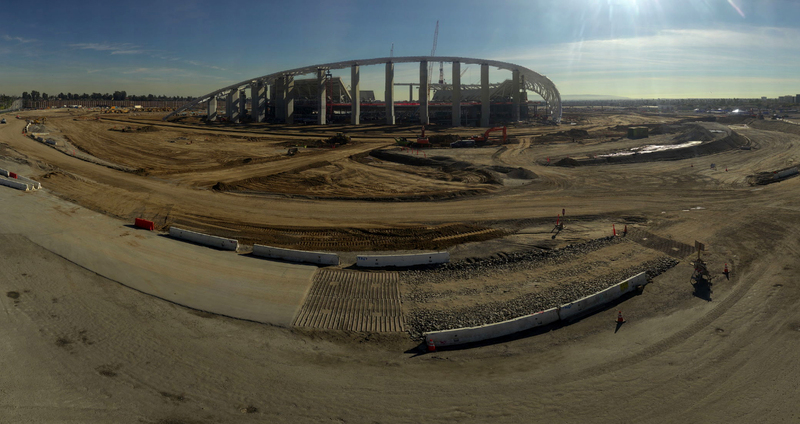 It was a bombshell tweet that grabbed headlines across USA yesterday, claiming the new stadium for Rams and Chargers could cost as much as $5 billion. 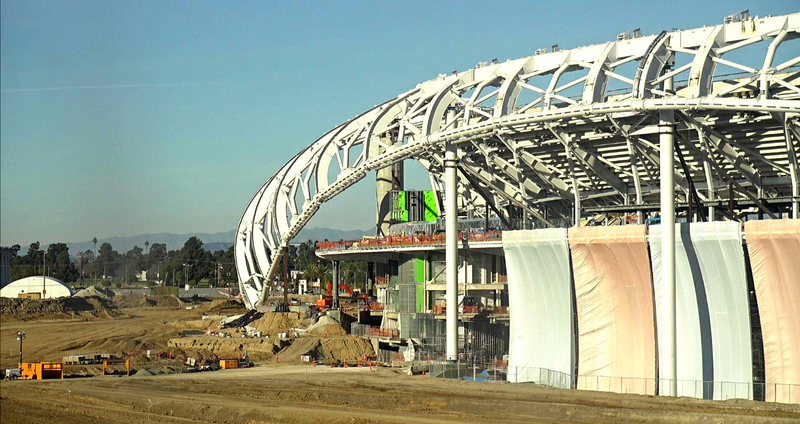 This would make it three times more expensive than current record holder. 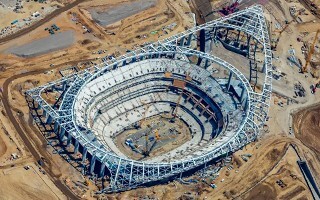 It's only been in progress for half a year and already lost 60 days due to heavy rainfall. 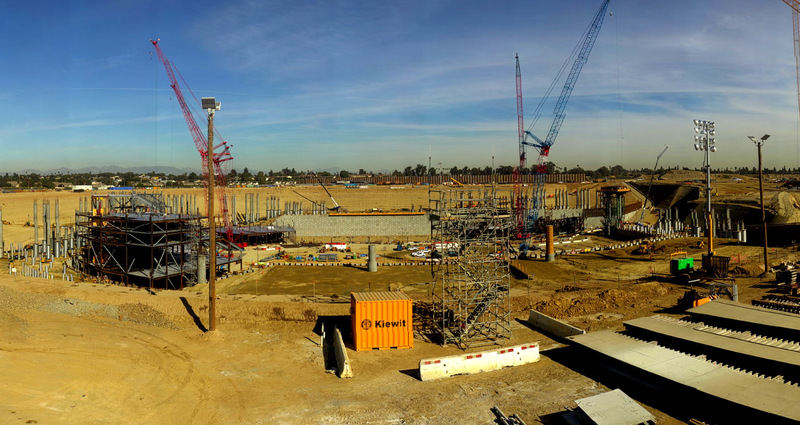 Because of that the Hollywood Park stadium will be opened in mid-2020 rather than fall of 2019. 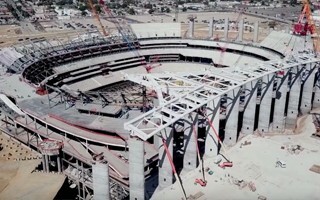 $2.6 billion is a budget hard to grasp, but the most expensive stadium ever planned is now officially under construction. 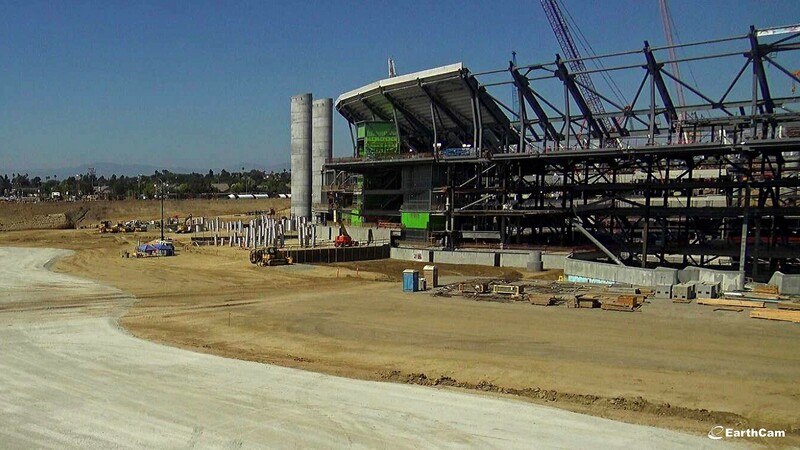 By the 2019 NFL season Los Angeles will change the American football map.